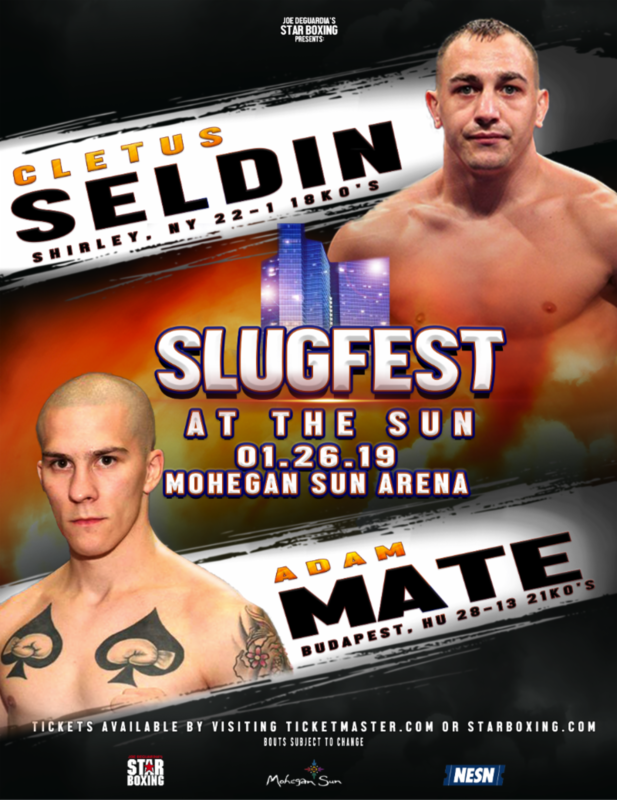 Four Connecticut fighters will put their boxing and punching skills on display at “Slugfest at the Sun”, on a show headlined by bangers CLETUS SELDIN andADAM MATE. The excitement, action, and fun will all occur at Mohegan Sun in Uncasville, Connecticut on January 26th, on a card also featuring Star Boxing’stalented fighters DAVID PAPOT (22-0 3KO’s, Saint Nazaire, FR) against COURTNEY PENNINGTON (12-3-2 5KO’s, Brooklyn, NY) as well as RONNIE AUSTION (10-0 7KO’s, Las Vegas, NV). The entire thrilling night of boxing is presented by Joe DeGuardia’s Star Boxing. 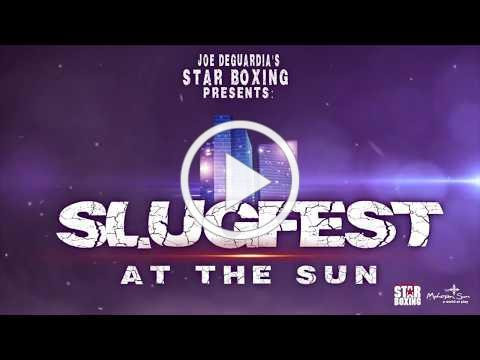 We are now accepting Media Credential Applications for “SLUGFEST at the SUN” on January 26th, live from Mohegan Sun.